Happy Active Woman Riding Bike Bicycle In Fall Autumn Park. Glad Young Girl In Jacket And Scarf Relaxing. Healthy Lifestyle And Recreation Leisure Activity. 免版權照片，圖片，畫像及圖片庫. Image 45381230. 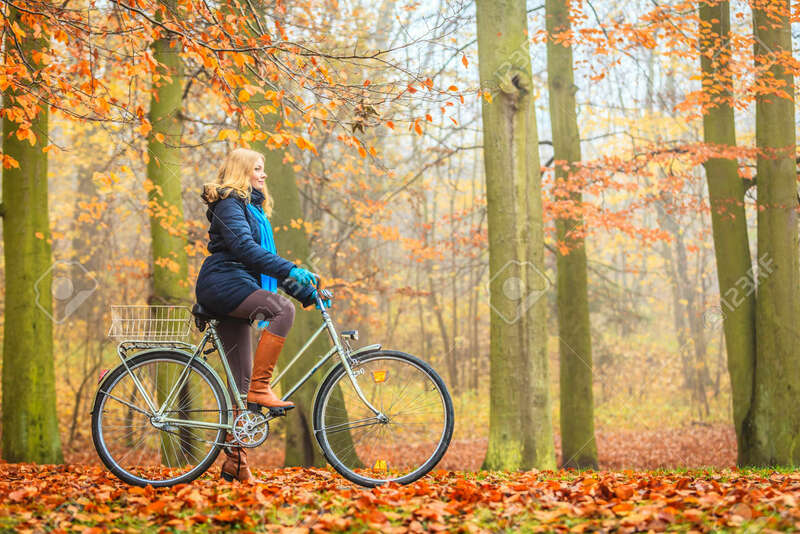 版權商用圖片 - Happy active woman riding bike bicycle in fall autumn park. Glad young girl in jacket and scarf relaxing. Healthy lifestyle and recreation leisure activity. Happy active woman riding bike bicycle in fall autumn park. Glad young girl in jacket and scarf relaxing. Healthy lifestyle and recreation leisure activity.